How can an upscale London storefront become the catwalk for home fashions? Amara knows—and it gets better at it every day. Ranking 45th might not seem like something a company would tout, but when The Sunday Times 100 Best Small Companies to Work for 2017 List ranked Amara among its elite, it was cause for celebration. As a small, two-person retail business in 2005, Amara focused on bringing expert knowledge and designer style to every home through a personalized customer experience. Starting with brands Missoni Home and William Yeoward Crystal, Amara identified and has transitioned to fill the gap in online distribution of luxury homeware through representation of more than 300 of the world’s most luxurious home-fashion brands and more than 35,000 products—many of which are exclusive, such as Ralph Lauren Home. The company transformed from an interior design business with a brick-and-mortar storefront in Chelmsford, United Kingdom, to a beautifully intuitive, online shopping experience for the novice and expert shopper alike; but with growth comes challenge. In order to support this evolution while maintaining its high customer service standards, Amara needed to develop a marketing strategy and distribution process that ensured it could meet the demands of its target audience—wealthy home-fashion shoppers (especially gift shoppers)—while continuing to deliver the spectacular shopping experience for which it had become known. Its efforts have not gone unnoticed. Amara has three times been awarded the Feefo Gold Trusted Merchant Award for outstanding customer service; evidenced in an overall feedback score of 97% or higher. This on its own confirms Amara’s team shares owners Sam and Andrew Hood’s belief in not just the company, but how its products are sold and how it reaches its audience. Retention and growth have sprung from the exceptional customer service manifesto and are being addressed through online and offline marketing strategies—including email notifications and digitally printed, personalized box inserts—as well as pay-per-click online advertising, organic search, affiliate sites and to a lesser degree, social media networking. Having left its storefront behind, Amara was tasked with finding new ways to deliver the same quality of personalized experience to the online shopper. Without face-to-face contact enabling staff to read customer emotions, Amara turned to online marketing to stay in touch and build relationships under a strategy crafted by Tom Freeman, head of digital marketing. As the fourth employee, Freeman built Amara’s marketing stratagem from the beginning—and the company grew. By 2013, Amara had grown so much, fulfillment became more than it could manage in-house and it was compelled to streamline the shipping process. A partnership was established with Delamode, a provider of logistical solutions that enabled Amara to distribute orders more efficiently and improve on its already outstanding personalized customer experience despite this explosive growth. 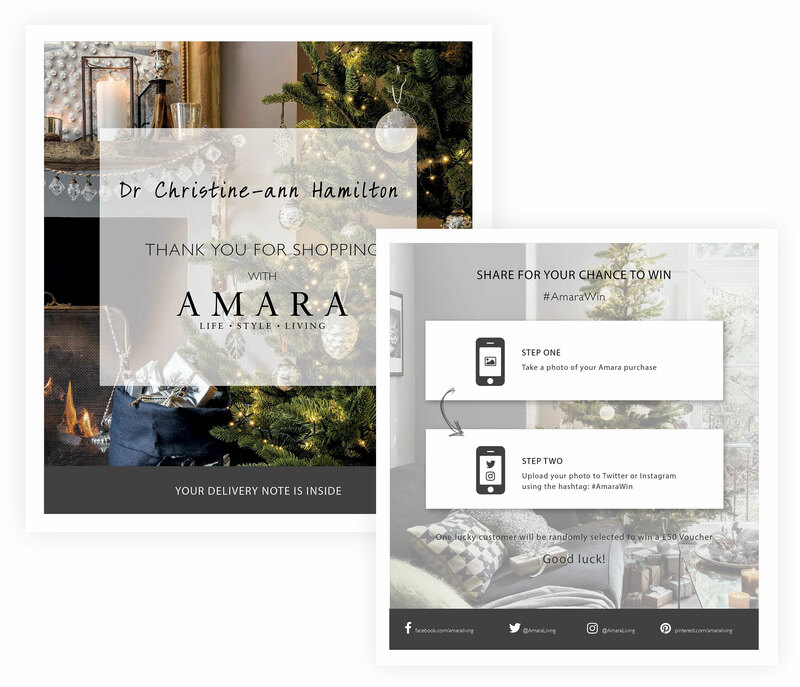 Amara, like many companies at the time, was relying primarily—or solely—on email marketing for customer touches, but in 2015, Retain.me, a UK-based customer retention technology business, made a compelling argument for adding personalized digital print to Amara’s online marketing efforts. A good strategy supported by results of the 2017 Data & Marketing Association’s Response Report, which found targeting customers on a 1:1 level increased response rates by up to 50% or more. Amara’s internal design team were users of Adobe’s software suite, but had no experience with XMPie, which provided the personalization. Additionally, the threat of European Union General Data Protection Regulation (EU GDPR) loomed so tone, content and personalization were carefully planned to ensure compliance while including tracking capabilities to collect and distill the data. Codes were used to track customer engagement and provide insight into overall success rates. All things considered, Amara chose a folded, six-zone format to provide customer data, a receipt for its purchase, and two customizable zones for Fashion for the Home marketing messages. The inserts were (and still are) created in-house using Adobe InDesign and exported as high-quality PDFs, which were then processed by XMPie to add personalization based upon delivery area. The resulting transactional insert was printed in full color. 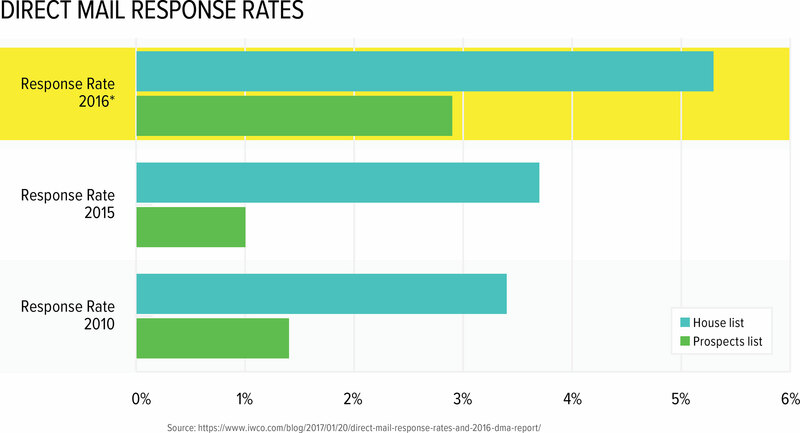 In an analysis of Bizo and Epsilon data, The Direct Marketing Association (DMA), found direct mail achieved a 4.4% response rate, compared to 0.12% for email, and in Frank Romano and David Broudy’s report for RIT, the authors gauged the effects of three direct-mail variables—color, simple personalization (adding the recipient’s name), and personalized database information.5, 6 With full color, the response rate was 44% higher than that of black and white with no personalization. 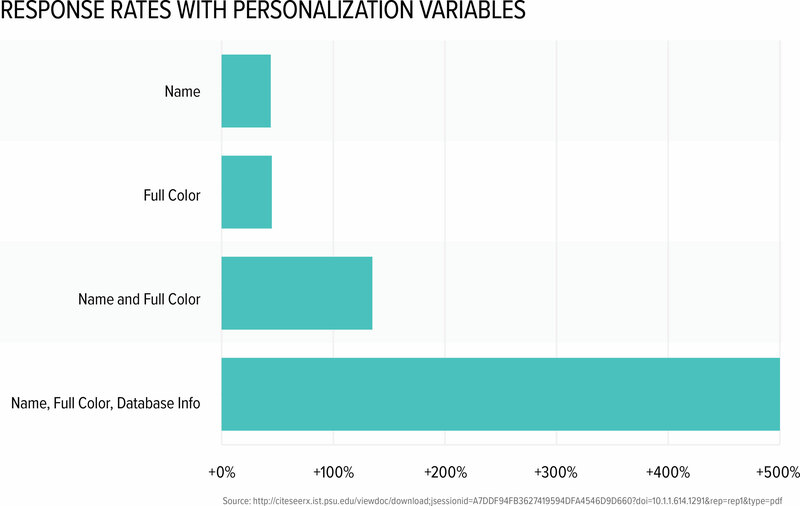 When combined with basic personalization, the response rate increased by 135%, and when more sophisticated database information was added, the response rate increased by an amazing 500%. Since this level of customer data was already being collected during the checkout process at Amara.com, the inserts could include the same level of personalization as its email campaigns, but as transactional messaging, without the imposition of GDPR regulations. Stressors were not limited to design, print and personalization—with the recipient’s name and shopping receipt on the insert, it was critical each insert made it into the right box, and this burden fell to Delamode. All three companies knew improving the process was of paramount importance—as customer-facing pieces, Amara’s reputation was on the line. With the recipient’s name and shopping receipt on the insert, it was critical each insert made it into the right box. Freeman was able to identify a 50% growth in sales from its first-time buyers campaign, which to this point was only included within email communications—not to mention the additional brand recognition generated. Delving deeper to determine if the print campaign was cannibalizing email marketing efforts, Freeman verified this was not the case and used quantifiable data to dispel concerns from other company departments. Amara has enjoyed great success with its personalized campaign that maintained its award-winning customer experience, and Freeman feels confident about the permanent role digital print has in the brand’s marketing strategy, especially as its second holiday shopping season approaches. For Curran, the current production is poignant because as of Black Friday week—peak customer-acquisition time—they are two years into what is proving to be a highly successful pilot program. Amara has lofty goals, especially given its target audience of high net worth individuals. It has deployed online surveys for customer profiling, which has enabled the company to be more precise with all of its marketing efforts and to perfect inserted customer retention (nursery campaign) and traffic (refer a friend campaign) print messaging. 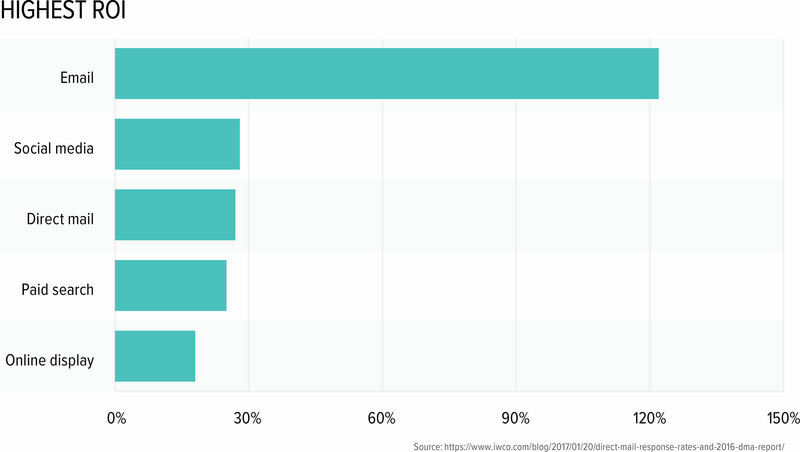 Enhanced by surveys, customer data—some of which dates back to 2008 (a distinct benefit of email campaigns)—has improved customer profiling across all of its marketing efforts. Though well-known in the U.K. with a niche following, Amara is pursuing international recognition as well. Expansion to other countries through native-language sites including France, Germany, Australia, Canada, New Zealand, UAE, Ireland, and the United States, has brought with it a demand for marketing approaches that are universally appreciated—for many, digital print is that medium. Amara sees this as an opportunity rather than challenge. Amara’s marketing strategy has been focused on growth, but as it invests in international markets where the brand is less known, Foreman foresees a shift toward brand recognition and market differentiators: a branded line of products, wealthier shoppers, and more extensive product offerings. Personalized marketing with digitally printed material has had a great impact on Amara’s success, but the brand has plans. Big plans. Amara will seek ways to further develop customer profiles, which will enable it to create more targeted messaging. The technology is there, but Amara must effectively process all the data it collects for use for in its personalized marketing campaigns. This includes an evolving creative process with more intelligent inserts—which means references to the customer’s experience online and recommending specific items based upon browsing histories. Freeman believes if Amara continues to focus on and improve upon the customer experience each individual has with the brand, site and customer service team, and make the online shopping experience the best and most enjoyable, customers will naturally come back. It’s a strategy that has worked for the company since 2005.